Two communities, working together to improve health & wellness for everyone. While the holidays are mostly a wonderful time of the year, they can also be stressful. It’s not just the last minute shopping, overcooked turkey, and tangled lights that take the fun out of the season, but gift giving can also get expensive, especially for families. Who doesn’t feel the pressure of hosting perfect meals and buying everyone just the right thing? It all adds up. So how do you get through the festivities with minimal financial stress? Being in control of your spending is one important way of reducing this pressure. It seems intuitive to spend within your means. But the reality is that Canadians are saving less and spending more, which has led to record rates of household debt. Average household savings were 4 per cent of disposable income by the end of 2015. Canadians are falling behind on managing their money in general. The holidays are a good time to revisit your finances. 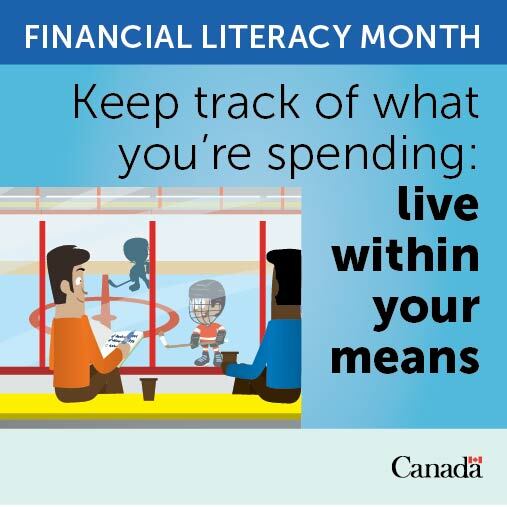 They’re also a good opportunity to teach your children about saving, smart spending, budgeting and knowing the difference between what you need and what you want. Top tips for staying on track include having a realistic budget, paying off your credit card in full to avoid credit card interest costs, and adjusting your shopping list.